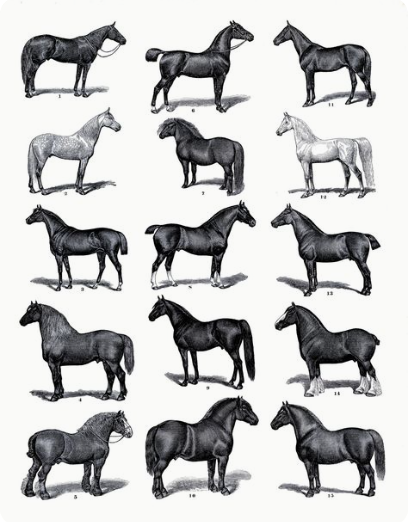 From tiny ponies to massive draught horses & everything in between we work with you to get the saddle that you want. Selecting the right tree can be a complex task & is best left to a qualified saddle fitter. However when thinking about the correct fit for your horse, it is worth noting that there are many tree points to consider. ​The correct width is naturally high on the list but so is the shape of the tree head, the height and angle of the rails and the flatness from the front to the back, all of which can make a HUGE difference in creating the perfect fit for your horse. Harry Dabbs offer a choice of 7 Dressage trees, 5 jump trees & 4 GP trees. 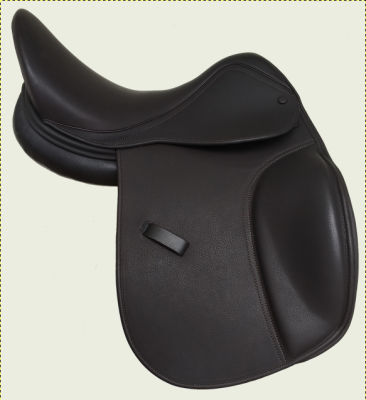 When combined with our flexible manufacturing approach the selection of saddles is huge. It is essential that the right tree is chosen for the shape of your horse, wool flocking can reduce pressure when the wrong tree is selected however over time even the smallest amount of pressure will build causing unnecessary discomfort and pain. 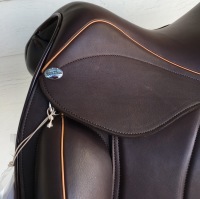 The saddle is the most important piece of equipment you are likely to purchase for your horse. As a responsible owner you really can't under estimate the importance of getting the right fit for your horse. 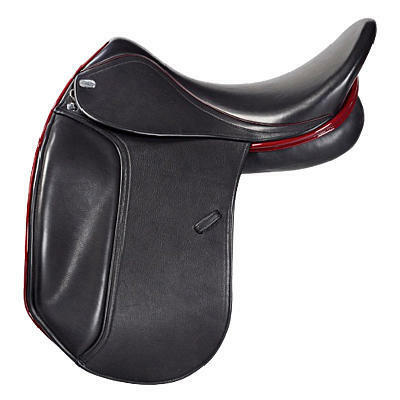 Talk to us about the type of saddle that you are looking for and the intended use. 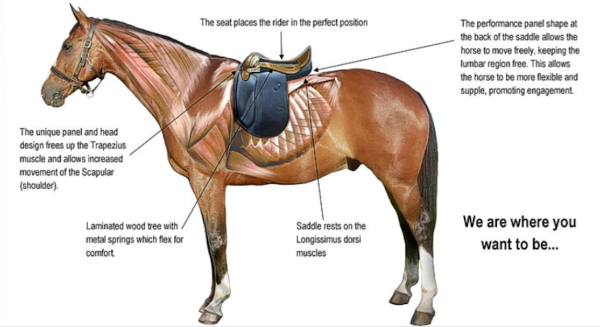 There are many factors to consider before starting the process of designing your saddle & we assess you and your horse to get it right. For the discerning dressage rider! Available in Black, Havana or Autumn Gold. You can mix & match or matchy matchy your trims to taste. Options include superb patent leather (choice of colours) , our textured leathers (contact us for current options) & piping. Either the fabulous Future Panels which allow freedom through the shoulders & lumbar, or the Original Performance panels with a longer arm offering more support down the trapezius. Every horse is different and Harry Dabbs allows the option to choose the panel that is right for your horse. The Mariella is available in every tree in the Harry Dabbs range ensuring that you get a saddle to fit your horse! Available in 15" to 19" Made to template or standard N, NM, M, MW, W, XW. For fitting and alterations it is important to know that all Harry Dabbs trees are adjustable by a saddler. 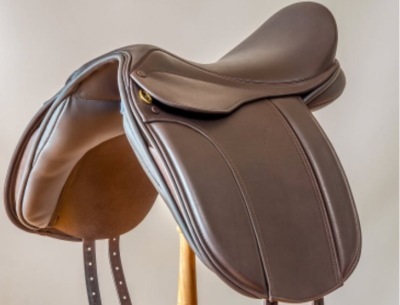 The sublime Harry Dabbs "Mariella" is distinctive & unique in that it features premium goat leather, known for its durability and suppleness due to its natural lanolin content. 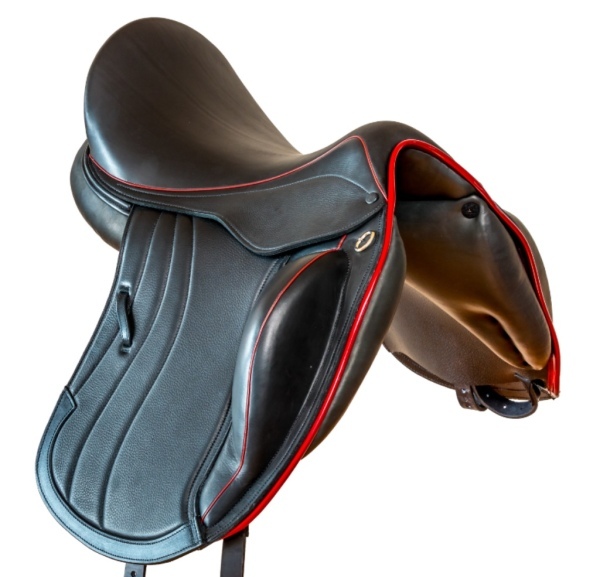 Add your own customisations with a splash of colour or texture to create your individual saddle at no extra cost. The "Mariella Pro" is not just about the horse... The "Pro" seat is available as an option and has been designed to support your position. 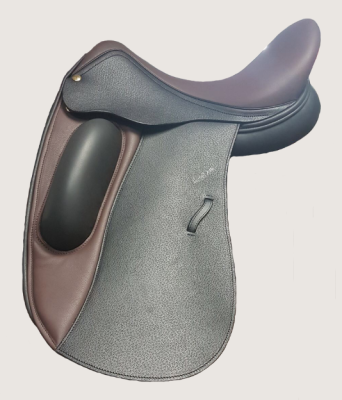 It encourages you to engage your core and tilt your pelvis into the optimum position allowing flexibility in your lower back and a balanced position making riding the biggest moving warmbloods easier. 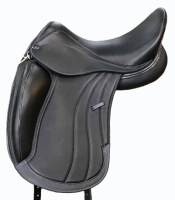 The "Pro" seat is a designed for the serious dressage rider & is only available on the Mariella. When you demand luxury Harry Dabbs is only too happy to oblige! Like the precious metal the "Platinum" range screams luxury. Using only the finest of leathers with a superb finish, a saddle from the "Platinum" range is sure to satisfy the most discerning riders. Available in made to measure with 7 different dressage tree's & 5 different jumping tree's there is a saddle sure to suit your horse. 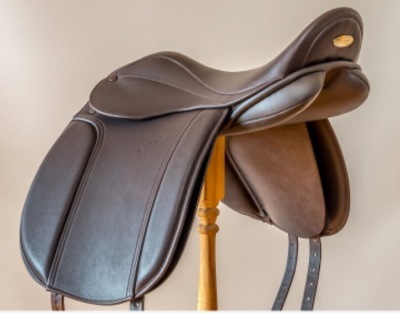 From the wide flat native types to the narrowest Thoroughbred Harry Dabbs have done their homework and come up with the best saddles to suit you and your horse. As with all Harry Dabbs saddles the tree and the panels are chosen to suit your horse and the rest is up to you! Your Platinum saddle has all the trimmings available, do you dare to be different? Check our customising options and consider what you want out of your dream saddle then allow us make it a reality. 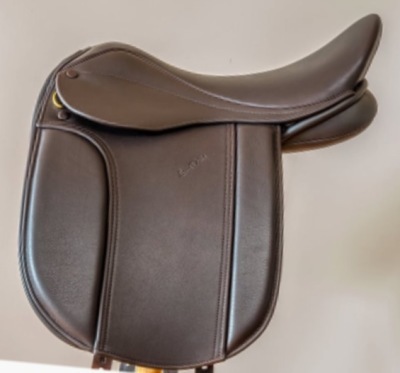 Saddles are availble in Havana Brown, Autumn Gold, and Black and can also feature a show finish with calf leather and covered buttons. 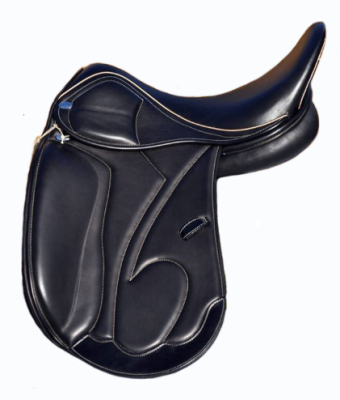 Available to order in sizes from teeny tiny 12" - 19"
Narrow to XXXW, we can make the saddle for you! Dressage, Jumping and General Purpose. The "Elegant" is the flag ship for the Harry Dabbs Original collection! Available in the same tree options as the "Platinum" the "Original" Collection does not compromise performance for practicality. As with all Harry Dabbs saddles the tree and the panels are chosen to suit your horse and the rest is up to you! Check our customising options and consider what you want out of your dream saddle then lest us make it a reality. Available to order in sizes from teeny tiny 12" - 19". Made to measure is no extra cost. 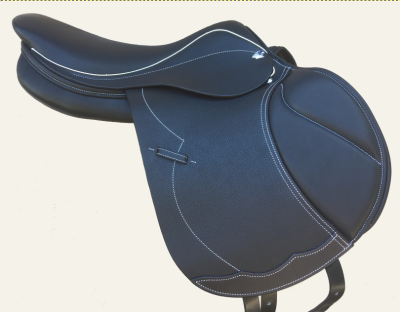 As the name suggests the "Traditional" range is for those who prefer a more traditional saddle. There are all of the fantastic features & Tree's that are available in the Original collection but with the option o f traditional gusseted panels for horses who may not suit the performance panel. 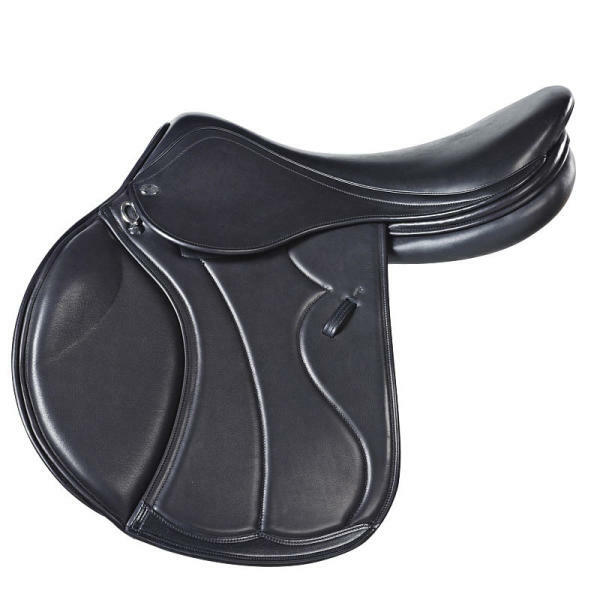 The superb "Hunter Show" saddle is part of the original range of saddles. 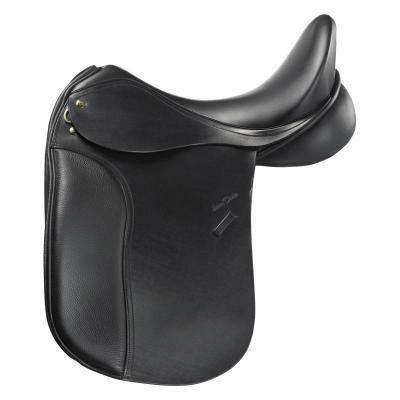 Prices start at a VERY reasonable $2695 for the Show saddles and General Purpose. Made to Measure in sizes 12" to 20" Just another way we can accomdate any horse & budget!